It is important to waterproof your New York basement before any remodeling work is done. The basement remodeling process with Marshall Exteriors is an easy, enjoyable one that we make sure we do right the first time. We want to help you maximize the value, comfort, and enjoyment of your home by upgrading your basement into an exciting new living area. At Marshall Exteriors, we address the issues listed below before starting any basement finishing project. Call us today for a free estimate in Geneva, Fairport, Newark, Canandaigua or areas nearby. It costs you nothing to meet with a specialist for a basement finishing quote! Each free quote includes an on-site inspection and measurement, a professional consultation where we answer any questions you may have. 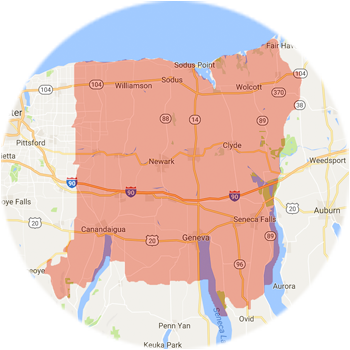 We proudly serve Fairport, Canandaigua, Geneva, Newark, nearby Victor, Ontario, Seneca Falls, Waterloo, Farmington, Macedon, and many other parts of New York.